When it comes to limo rentals in Bowie, MD. The H2 limousine Hummer is the Buzzword for the day. This SUV limousine seats comfortably seats 20 passengers and is equipped with a lighted dance floor to get the party started. Class oozes out The Hummer Stretch Limo. Do have a wedding planned in one of Baltimore's Majestic Mansions or a Party set up at one of DC's hottest trendy nightclubs or a ham it up with a Virginia Beer Tour. Sophistication is top priority and its your event gamechanging experience. The H2 Hummer draws a swarmming crowd to you like bees to honey. 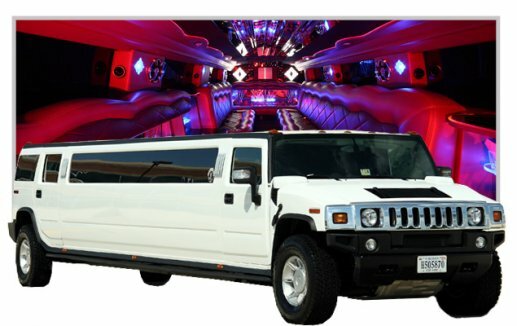 This spacious, fun and Exotic Hummer 2 stretch limousine delivers the goods with Royal Style and Presidential class. Strobe lights, multiple bars, two tone interior finishes, laser lights, upgraded sound system, private VIP section with its own minibar and flatscreen television, beverages, ice, glasses and napkins all come with the package. Our limo chauffeur for the evening will make sure you get back to your designated drop off spot safe and secure. Take a few minutes, fill out the form and get a quick free reservation quote by one of our limo reps.
Our professional Bowie Limousine team will set you up for your Big Event today.